This category is specifically for Netflix show reviews. 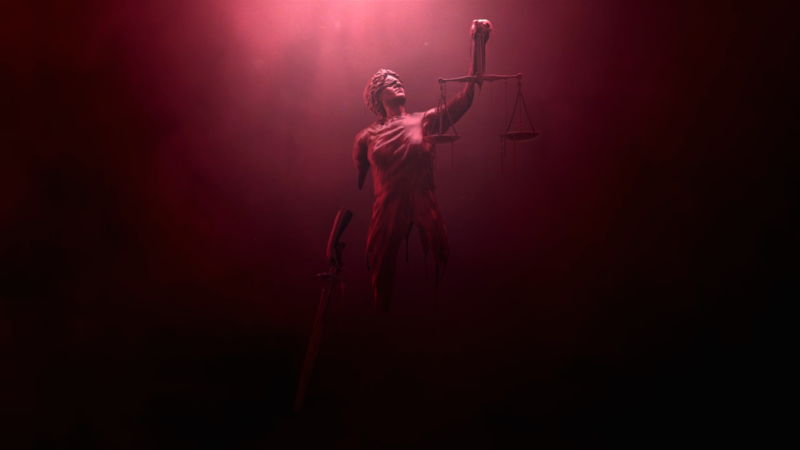 Lady Justice from Netflix’s Daredevil’s Opening Credits (Posted by Kotalm on Reddit). In this week’s Daredevil episode, “Rabbit In A Snow Storm,” written by Marco Ramirez, we saw our hero struggle with his morality as he contemplated the true balance of the law vs his version of justice. We also meet the New York Bulletin reporter, Bennie Urich and the infamously powerful, Wilson Fisk. Alex Morf as John Healy surrendering to the cops. It all starts when an eerily, calm and overtly confident killer, Alex Morf ‘s John Healy is arrested for murder, and Foggy and Matt are approached by James, Fisk’s right hand man, to take the case. Matt is immediately against the idea after James comments on Karen’s association with the firm (that and James’s eagerness to hire two un-established and fresh-out-of-law-school newbie attorneys with a large, up front payment). Curious to figure out whom James really works for and what he’s truly after, Matt agrees to take the case. 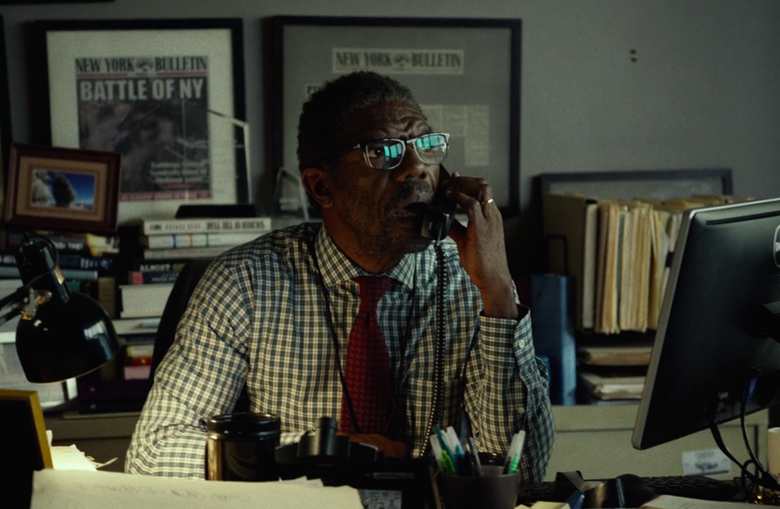 Meanwhile, Bennie (Ben) Urich, a New York Bulletin reporter, tries digging up some information on a rumor spreading around Hell’s Kitchen of a new player who’s replacing all of the established and well-known ‘competition’ on the streets. Bennie is warmed by a close contact to drop it, and even pushed by his boss as well to give up and let go of the organized crime articles due to the decline of the newspaper market. With the added incentive, from his boss, that is could cost him his job, which could jeopardize the health benefits he needs for his wife. While Karen is propositioned with a legal ‘gag’ against discussing any further details about the Union Allied ‘incident’. And for her silence, she is offered six months pay and a legal ‘promise’ that states no future lawsuit against her will be pursed since she broke a non-disclosure agreement with Union Allied during her time of employment. Unsettled by this, Karen goes to visit her former co-worker’s (Daniel Fisher) wife in an attempt to unite against the formidable Union Allied, but Miss Fisher informs Karen that she too was offered money to stay quiet which she accepted. Morally plagued to tell the truth, Karen visits Bennie in the hopes that he’ll want to get to the truth as well. And we are back with Daredevil this Wednesday. If the first episode wasn’t enough to make you fall in love with Matty (that’s what I call him because I feel we’re super close) than the second episode is sure too. The second episode, titled, “Cut Man,” also written by Drew Goddard, piggybacks off of Into The Ring’s end sequence to bring us directly into the aftermath events of Matt’s attempt to rescue a young boy who was kidnapped by the Russian Ranskahov brothers. However, Matt’s valiant attempts we less than successful as the episode opens with a badly beaten and bloody Matt lying inside of a dumpster. Cut Man’s theme centered on the mentality of being able to getting back up after you’ve fallen or been knocked down. Pulled from a dumpster and helped by a nurse, Claire Temple played by Rosario Dawson, with broken ribs, possible internal bleeding, stab wounds and a concussion, Matt unsuspecting gains his first Daredevil related ally. 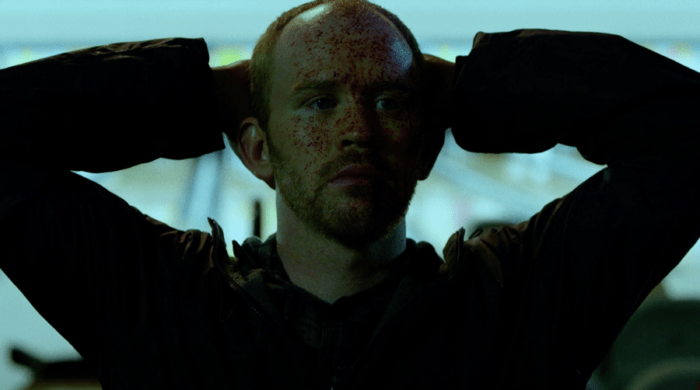 The episode split it’s segments almost evenly in half between scenes of Matt with his Father, Jack and Matt attempting to recover from his critical injuries in Claire’s apartment, whom tries to adjust to the fact that a masked, blind man is acting as Hell’s Kitchen knight in shining armor as she patches him up. When Matt’s pulled from a flashback/dream of the past with a collapsing lung or a pneumothorax, (thank you, Google) Claire has to puncture his chest to release the pressure/air. She becomes even more concerned that his reluctance to call an ambulance will lead to Matt’s death. Matt explains that the people who work for the Ranskahov Brothers’ would kill a ton of people if he goes to a hospital. Matt reveals to Claire that he was trying to save a kidnapped boy, but he ended up walking into a trap. Matt senses someone in the building has come looking for him and after Claire’s attempt to get rid of the guy fails, Matt (very casually) tracks his movements down a flight of stairs before releasing a fire extinguisher onto his head, knocking him unconscious. 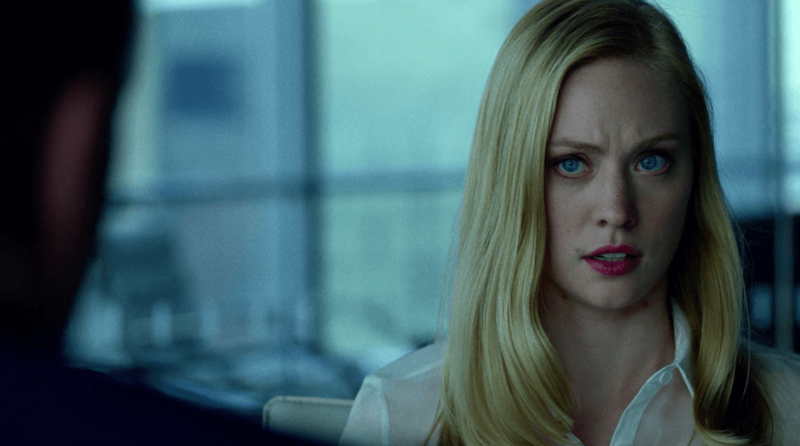 Elsewhere, Foggy and Karen Page, (Nelson & Murdock’s first client, now new secretary), head out for a night on the town with a few bar crawls and we learn that after her ordeal Karen now fears what lurks in the shadows around Hell’s Kitchen and to a certain extent she has been having trouble trusting in people again. I thought the plotline between these two in this episode was fantastic. Looking at just their scenes, it was like watching a mini date between a really cute pair/couple growing closer. Netflix breathes new life into the iconic Marvel legend. Not sure if any of you have noticed or not, but comic book legends have been on the rise recently. Oh, you have? Cool. Are you a fan? Awesome! Have you heard or seen Netflix’s Daredevil yet? If the answer to that question is no, then please give me the honor of giving you a few reasons why you should check it out. Well, like all legends based reincarnations, the fans and new comers are privy to these epic introductions to the heroes or the heroes in the making. Not often are we granted the opportunity to see the people behind the names. 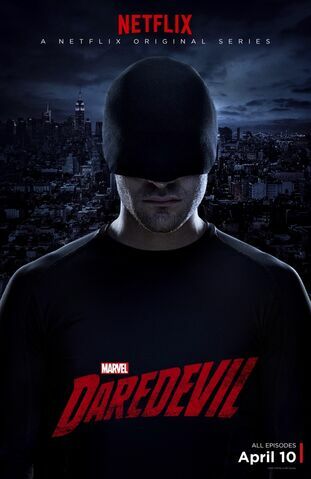 Season one of Daredevil premiered earlier this month on April 10th, 2015 on the popular streaming platform Netflix. 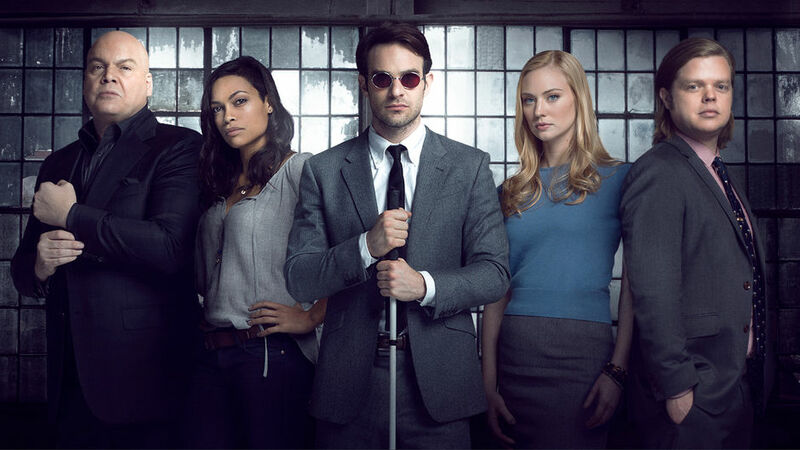 The show is based off of Marvel’s blind, superhero/vigilantly Matthew Murdock as he tries to clean up the streets of his old neighborhood in Hell’s Kitchen both on the right and wrong sides of the law. It has a total of 13 episodes for its first season, and it was announced on April 21st that this edge of your seat, gritty addictive binger will be returning next year in 2016, but with different show runners (Sacks). In 2016, Doug Petrie & Marco Ramirez will be taking over for Steven DeKnight for season two. For more details, check out NY Daily News, Entertainment Weekly, or any Internet source really (it’s up to you). Character/ Cast Photo from Netflix’s Daredevil page. Charlie Cox as Matthew Murdock when he speaks about his father in confessional.